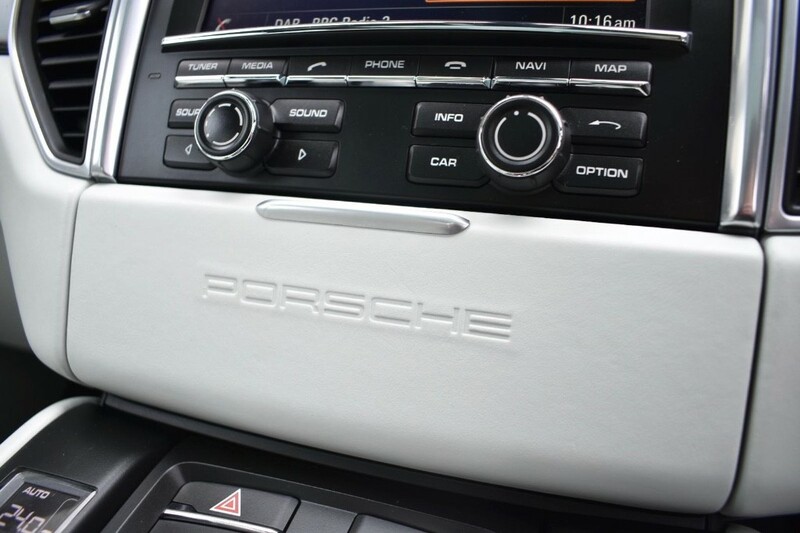 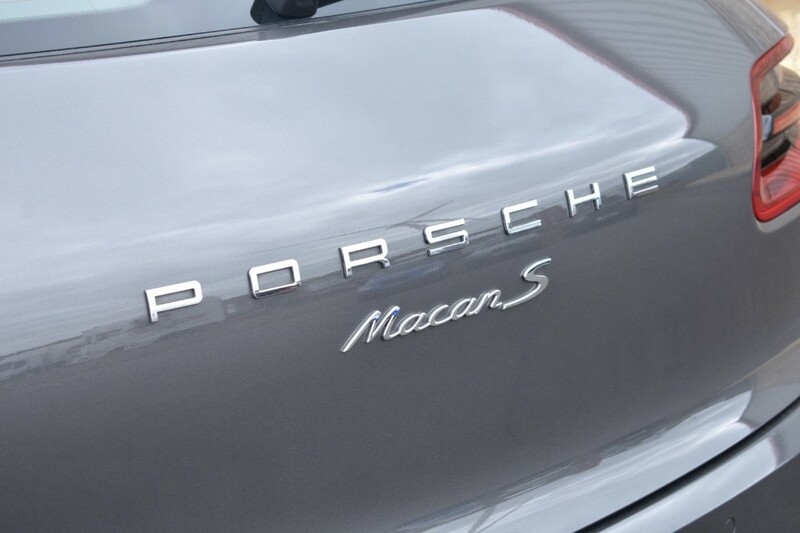 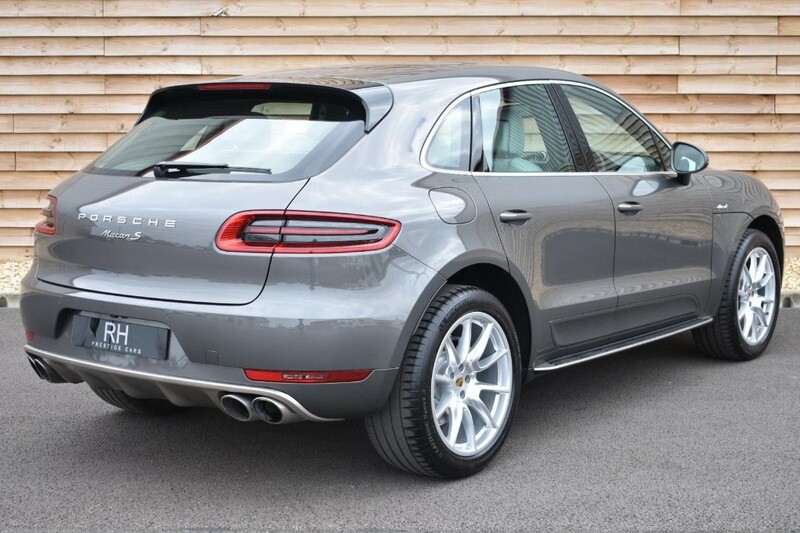 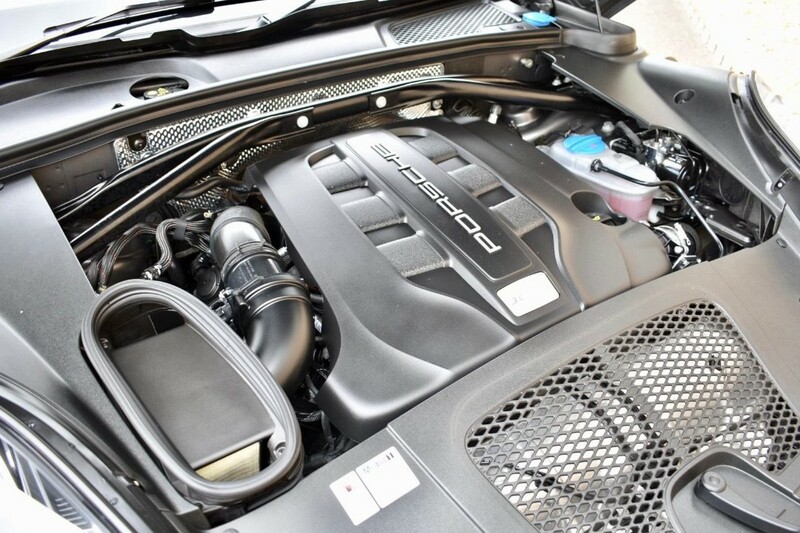 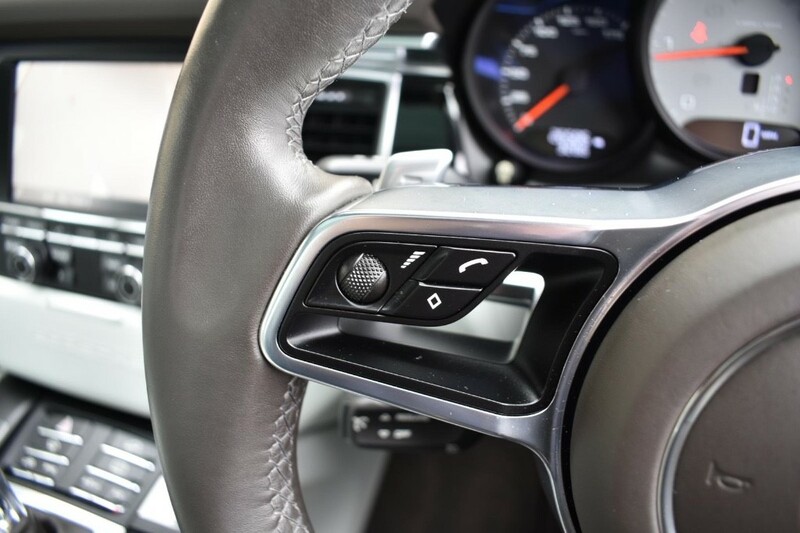 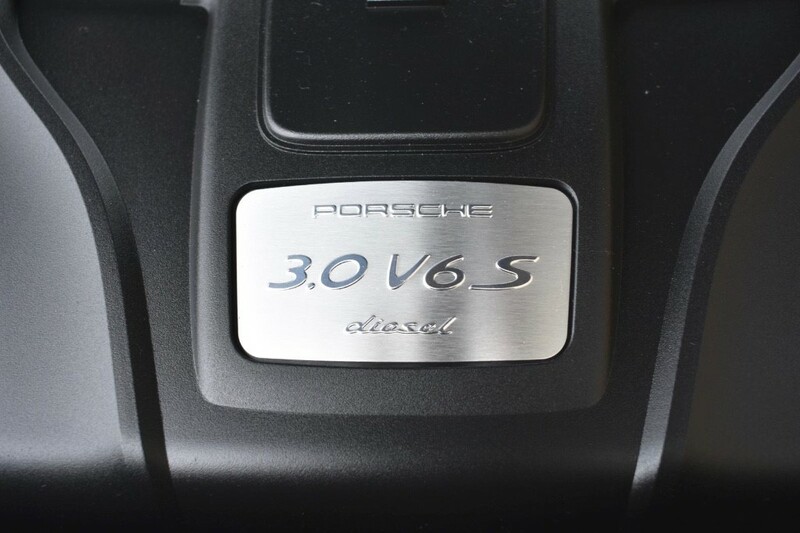 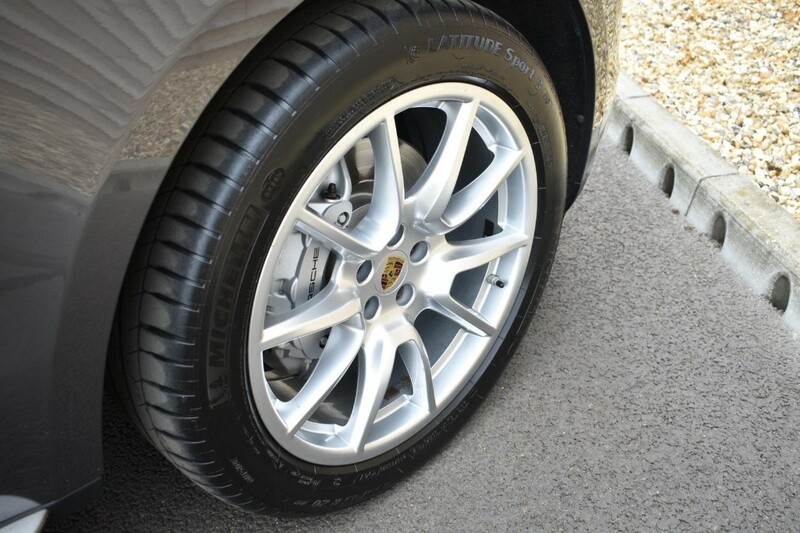 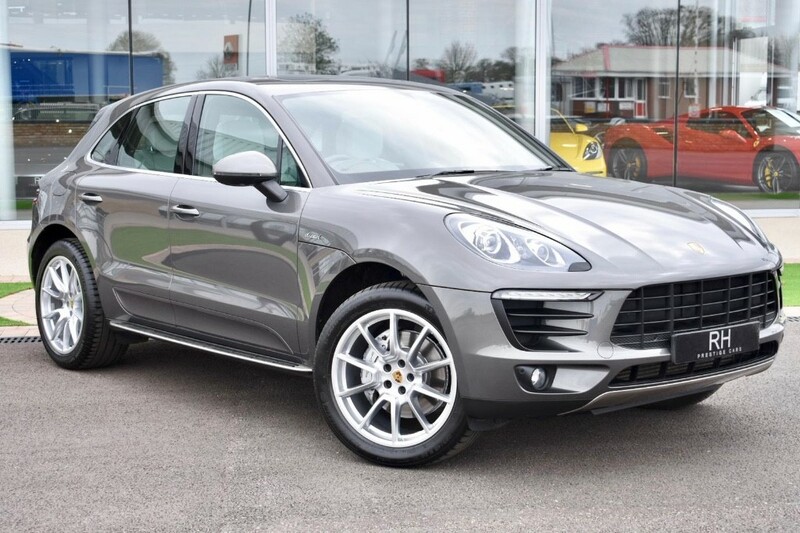 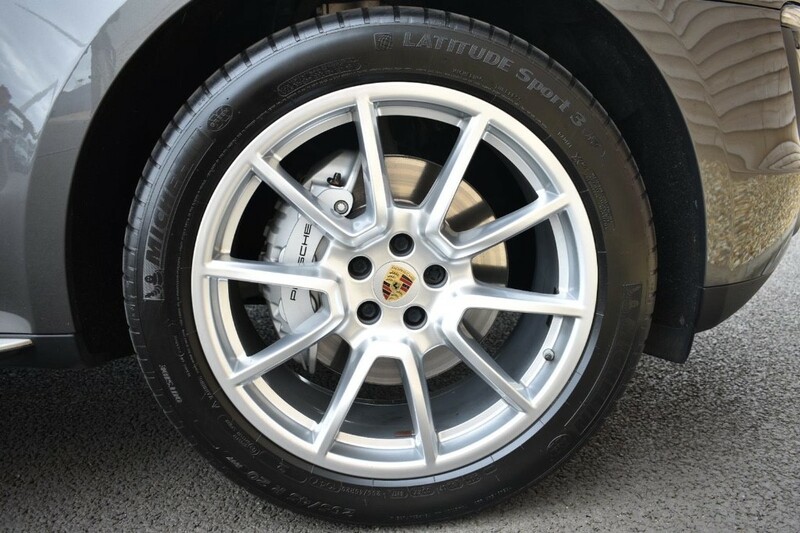 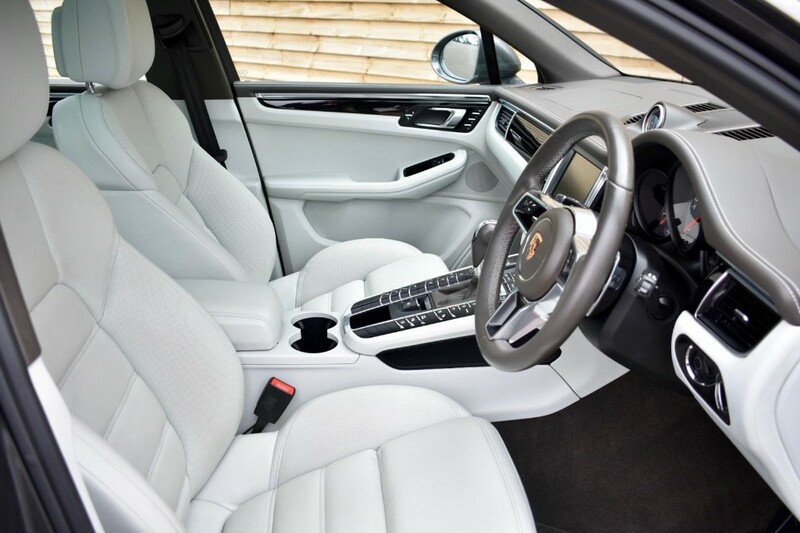 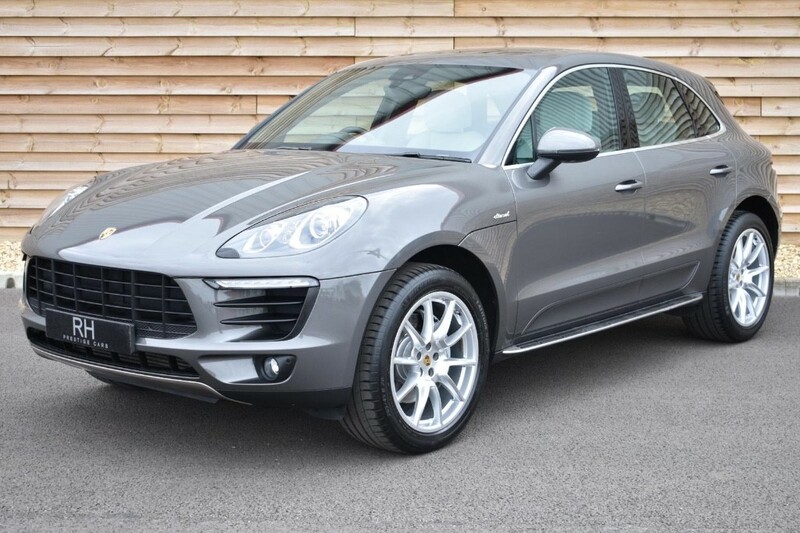 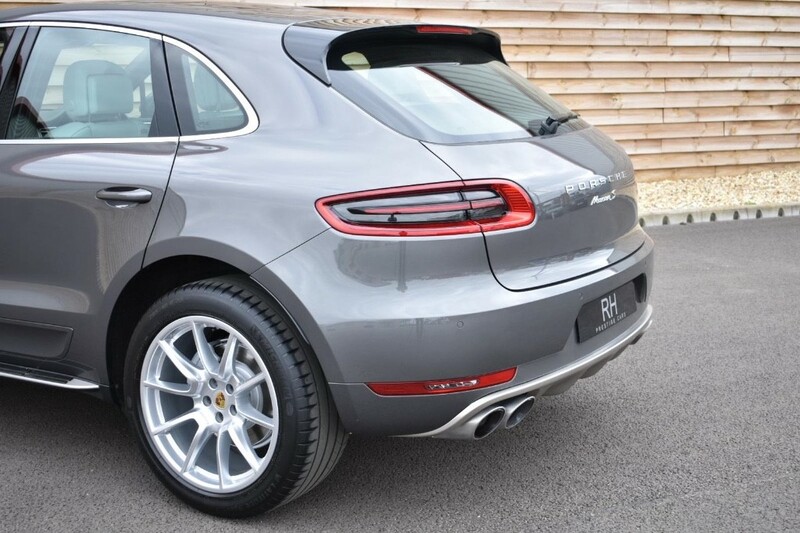 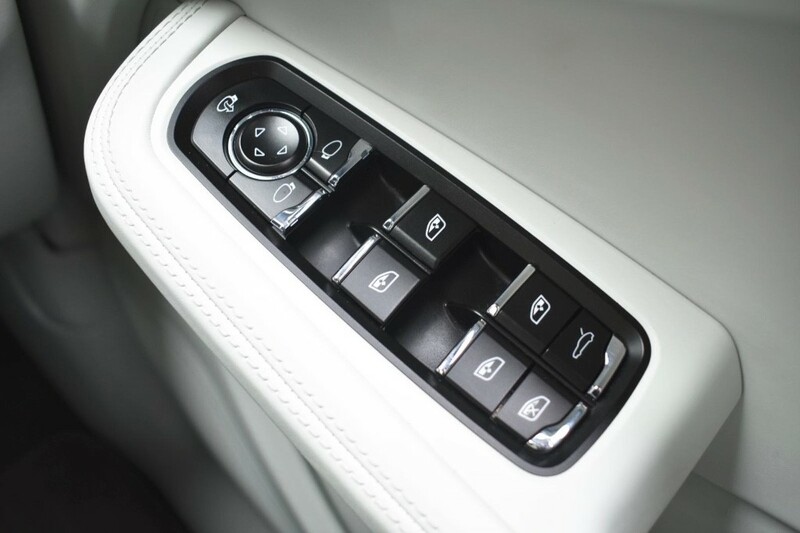 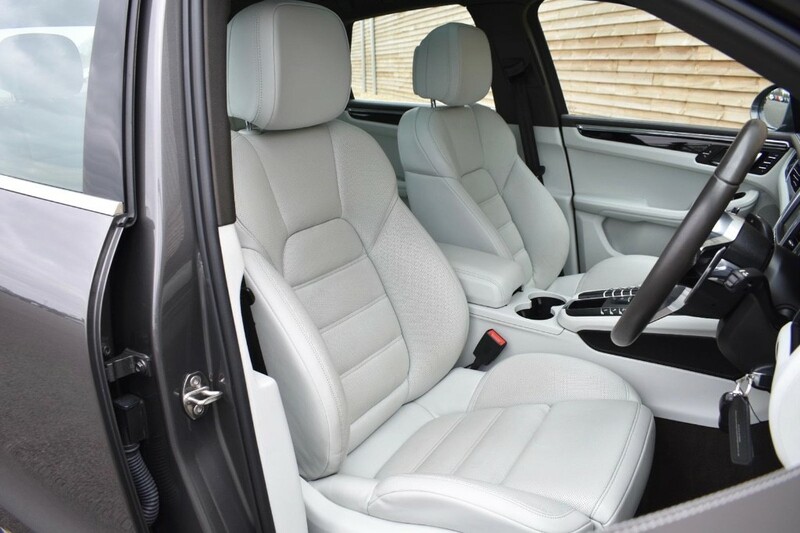 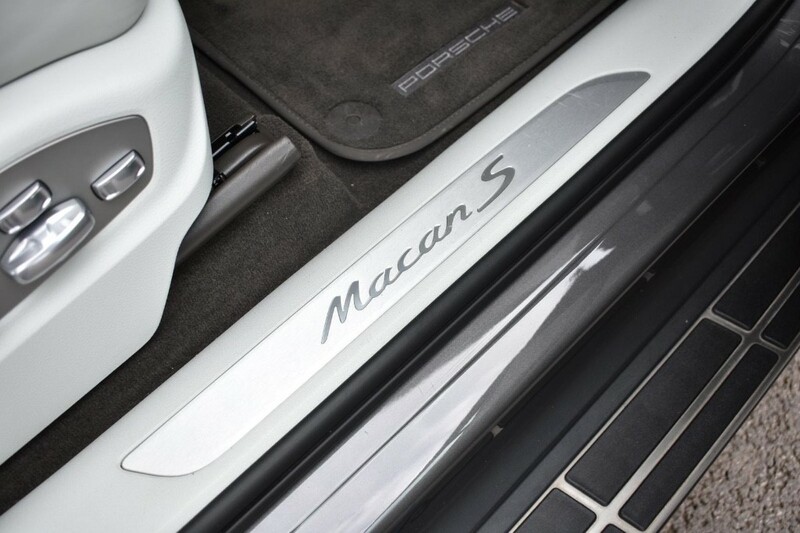 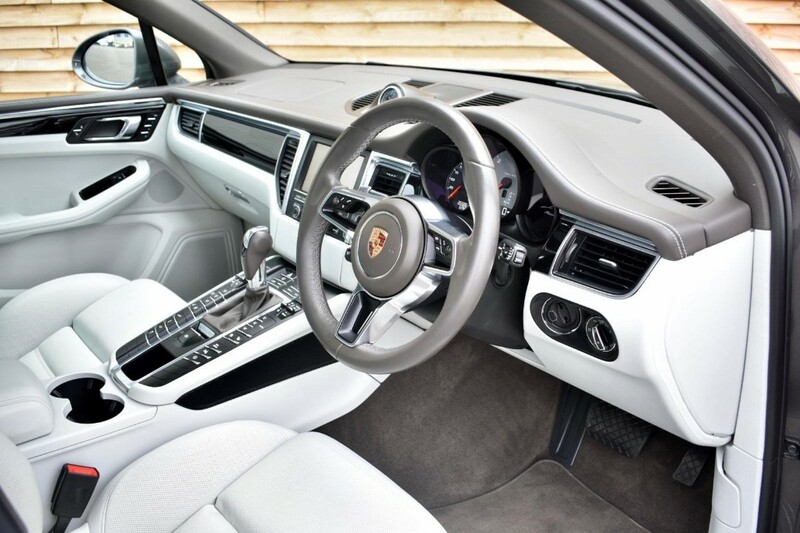 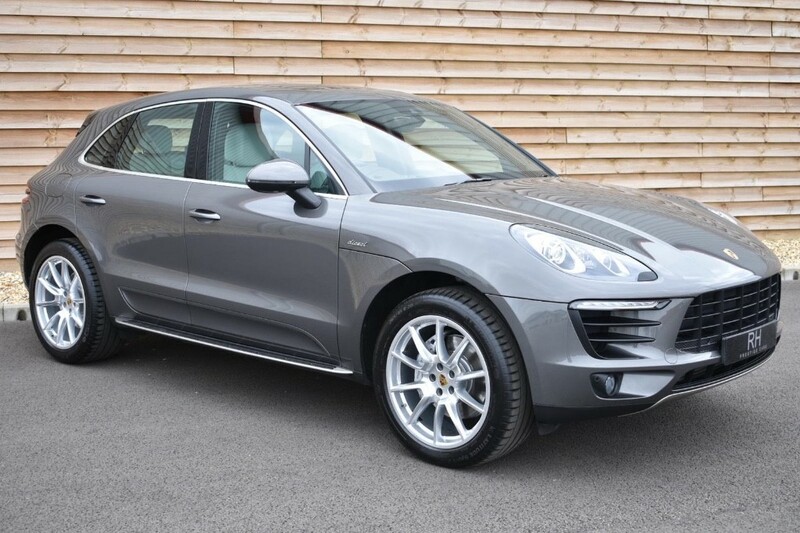 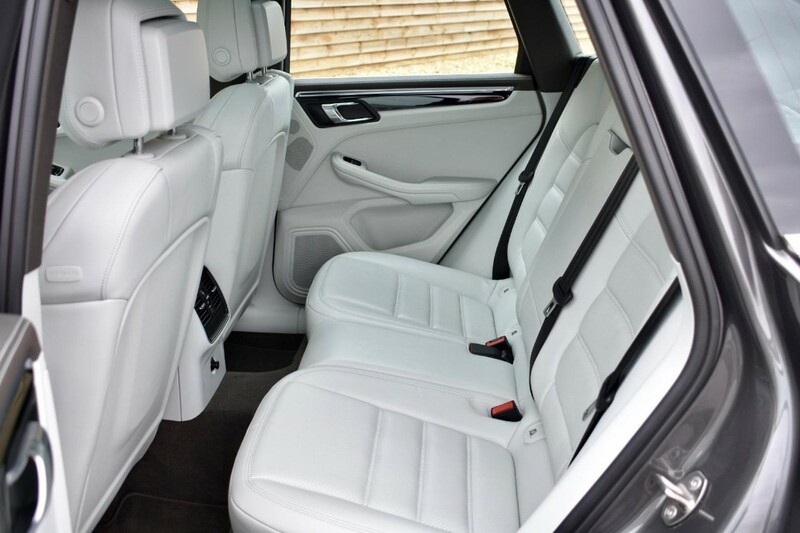 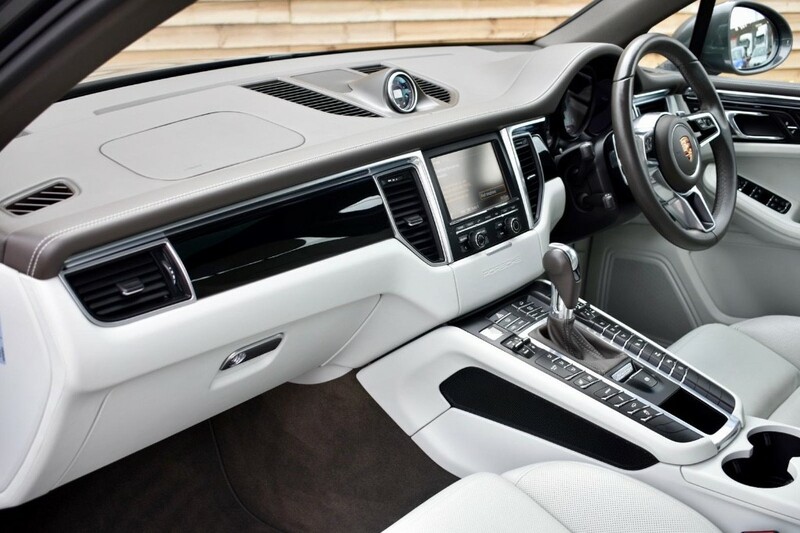 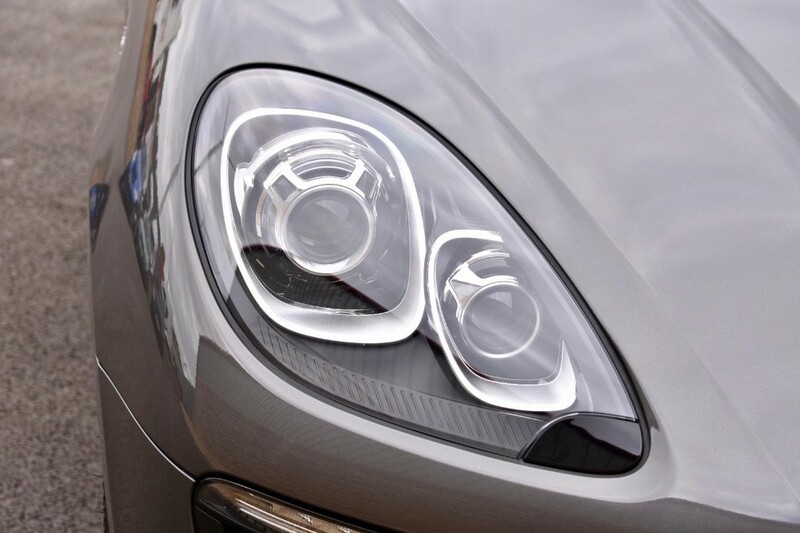 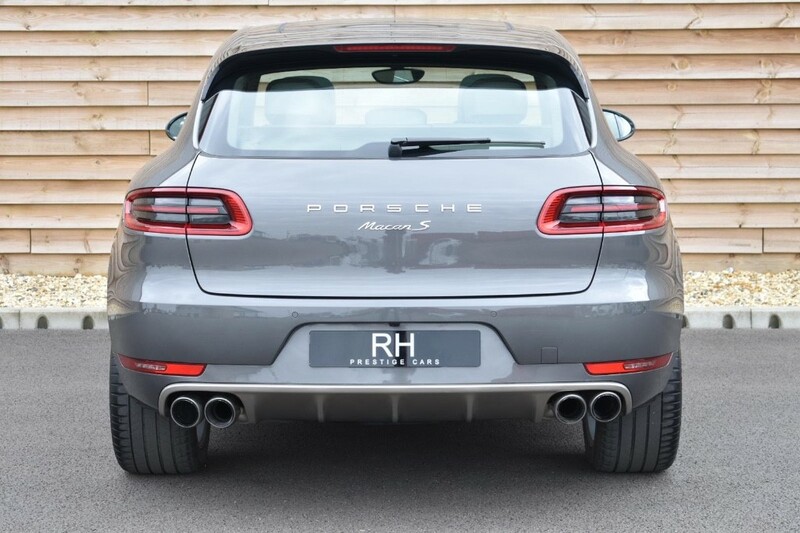 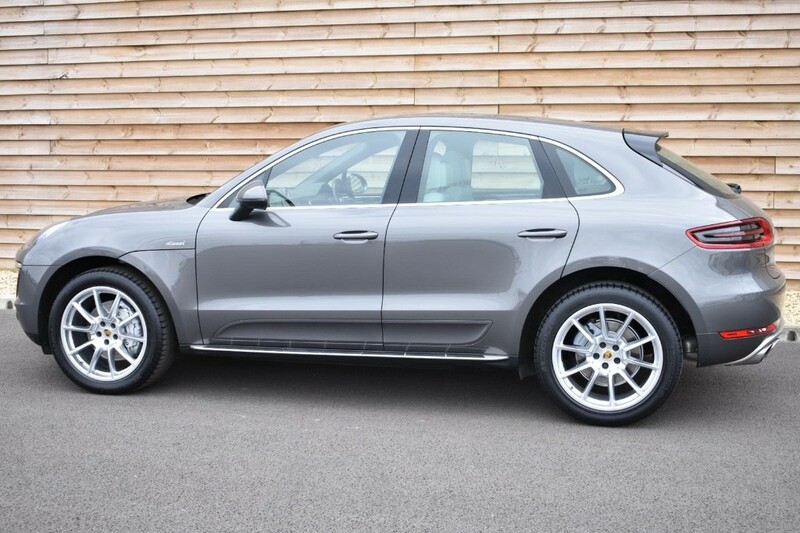 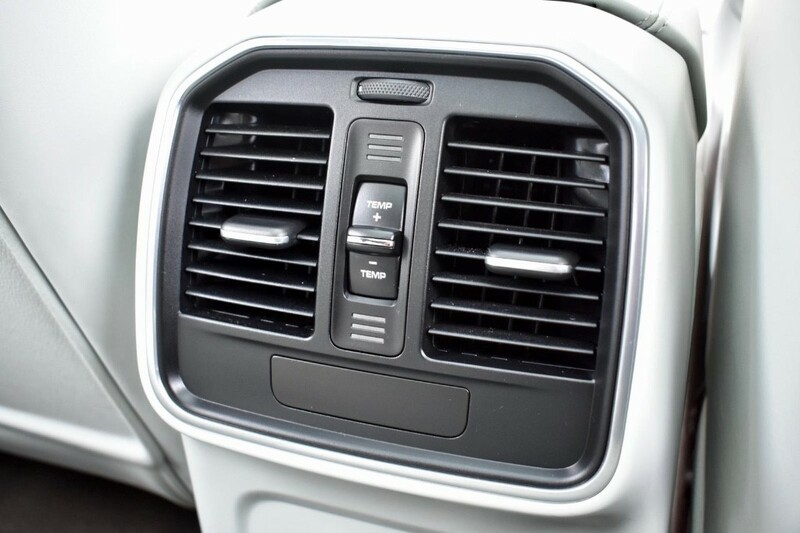 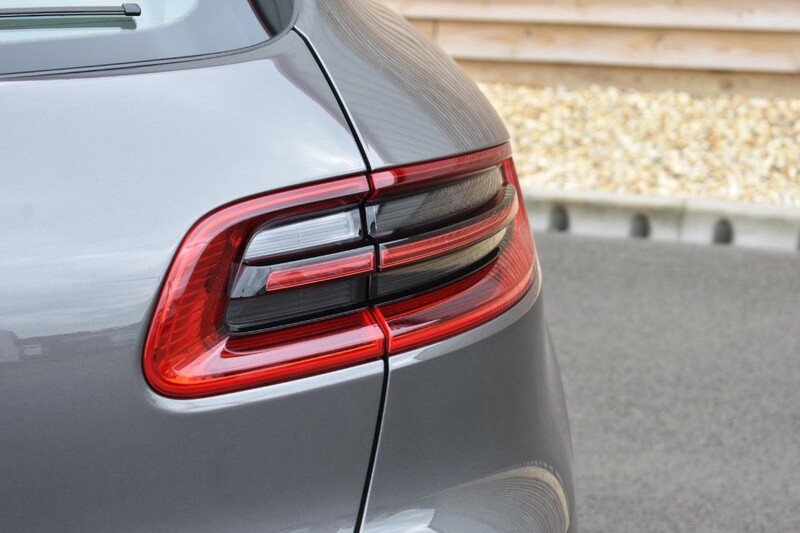 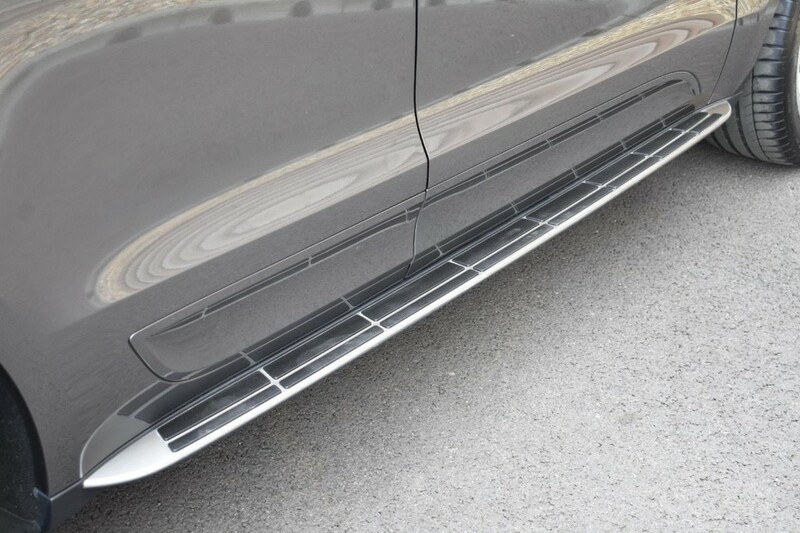 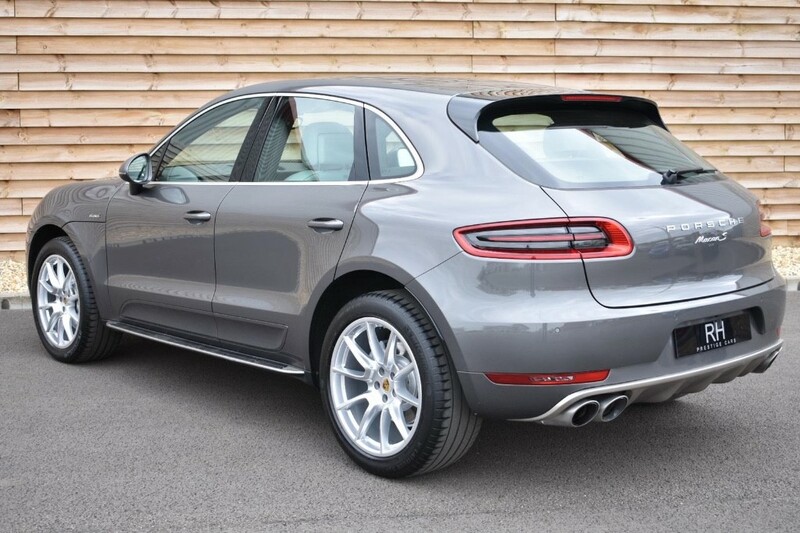 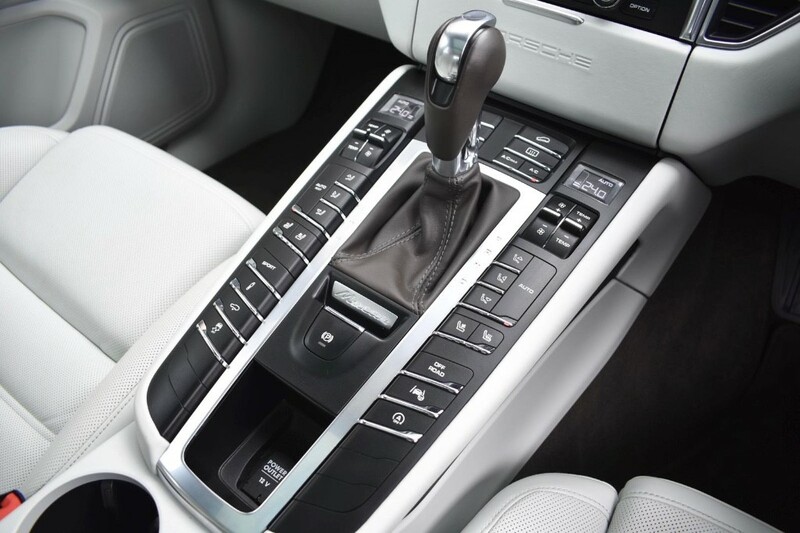 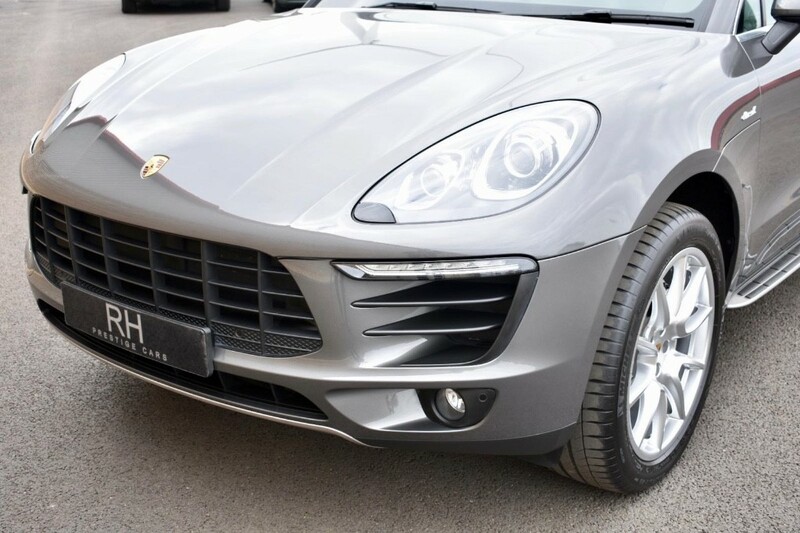 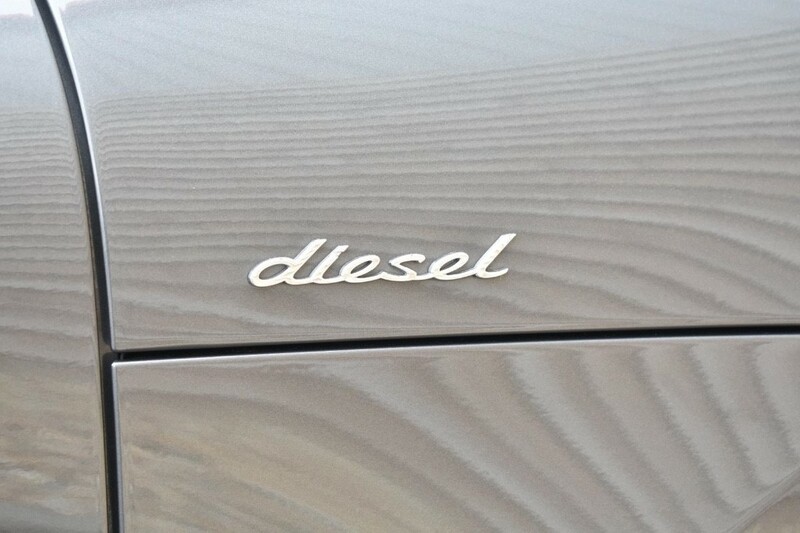 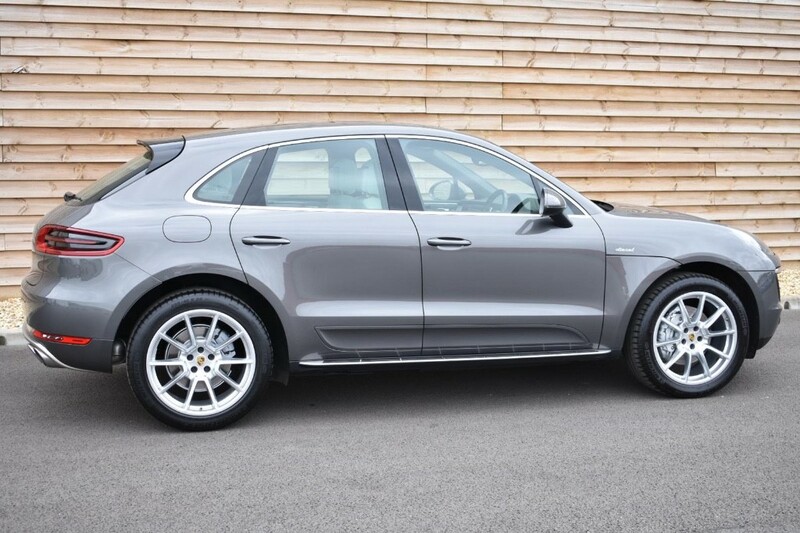 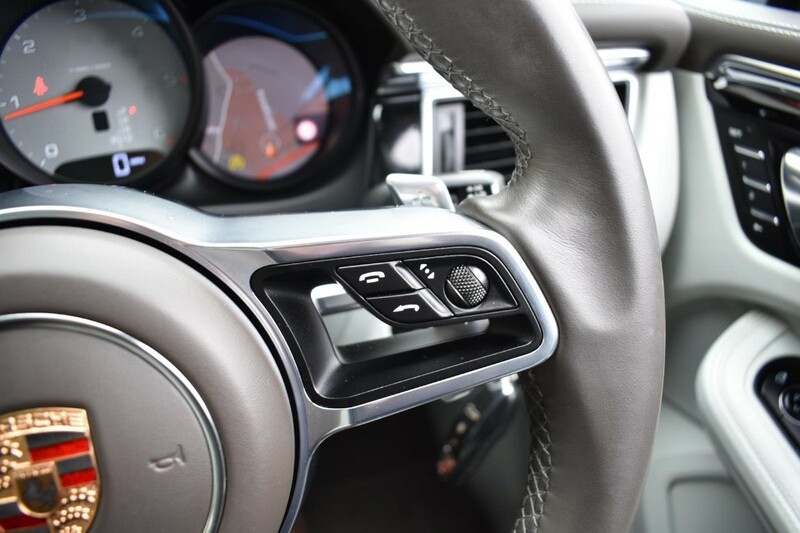 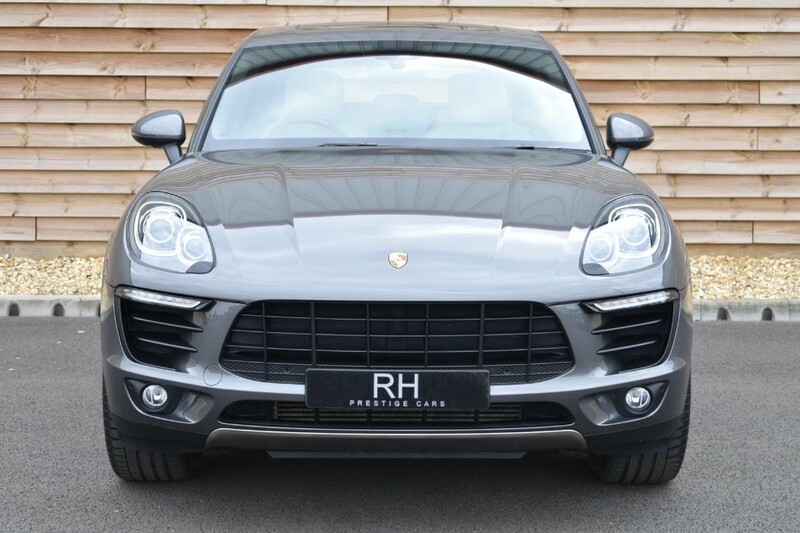 STUNNING MACAN S DIESEL FINISHED IN AGATE GREY METALLIC WITH TWO TONE AGATE GREY/PEBBLE LEATHER UPHOLSTERY. 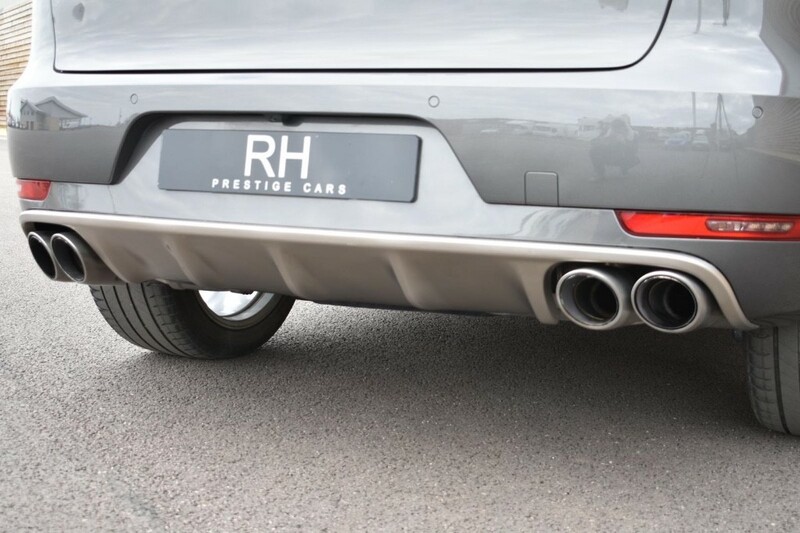 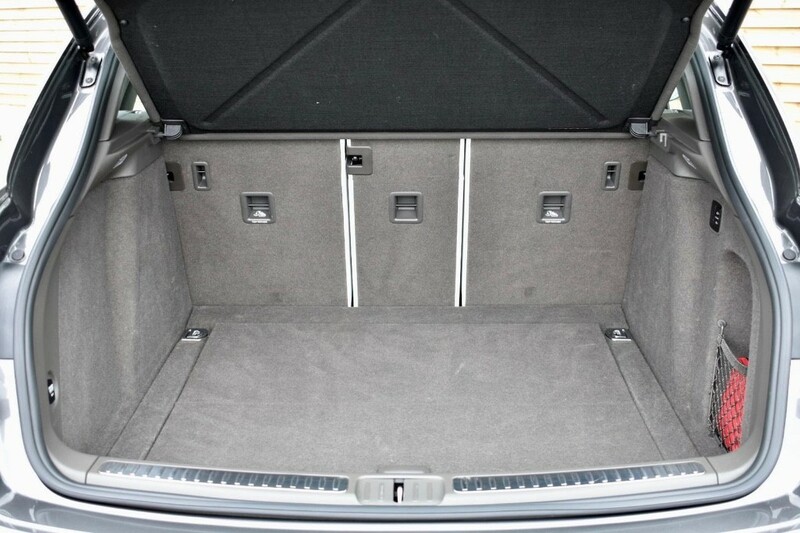 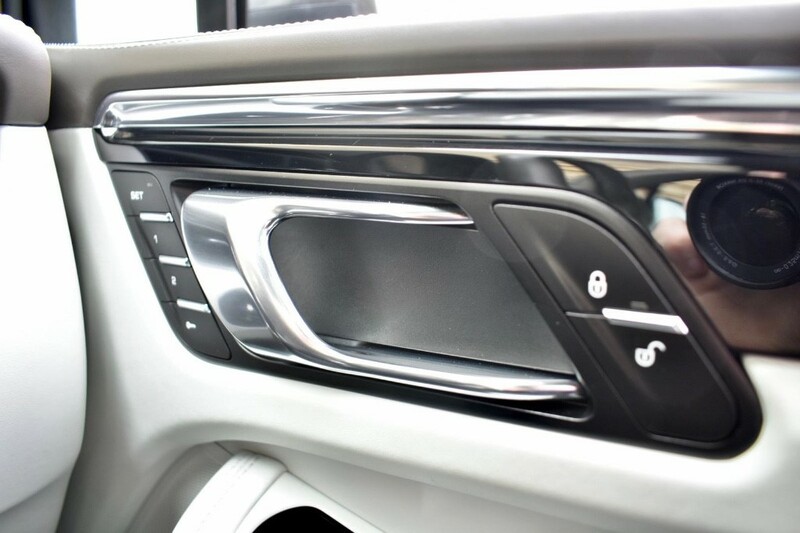 HIGH SPECIFICATION AS STANDARD. 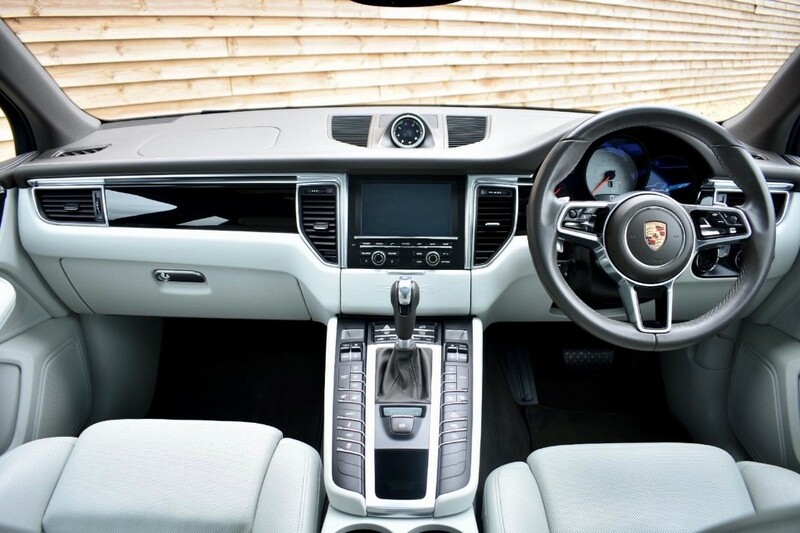 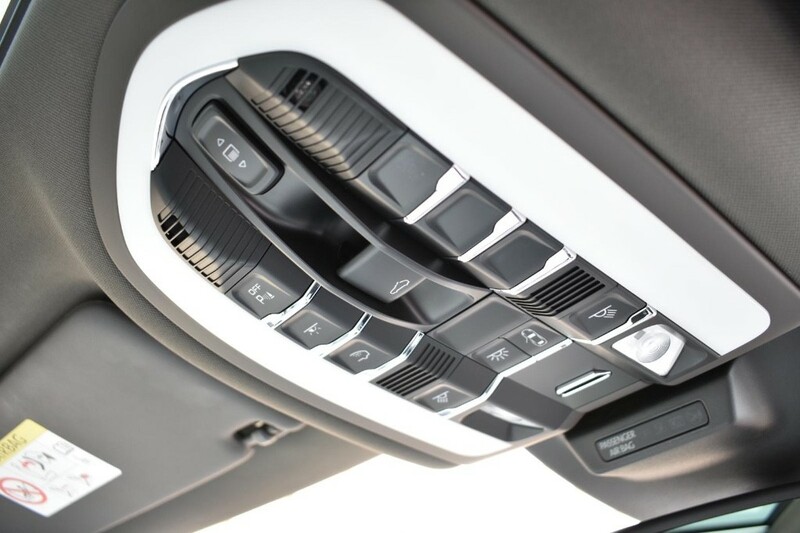 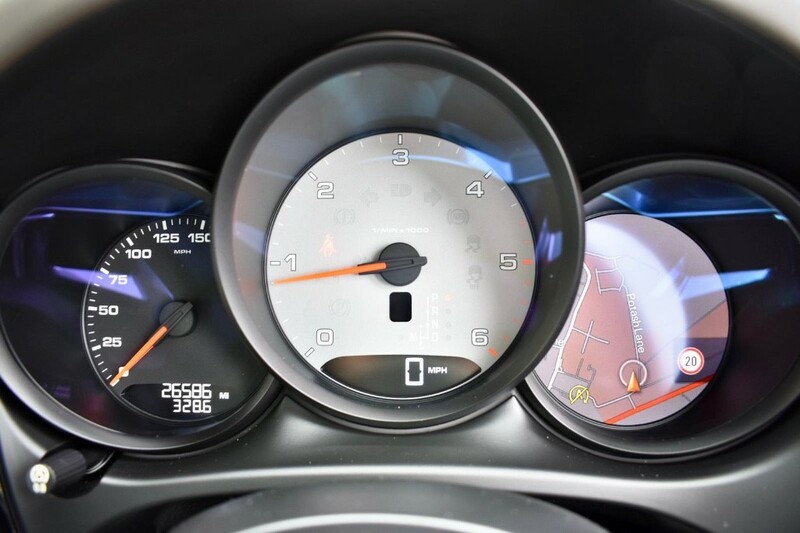 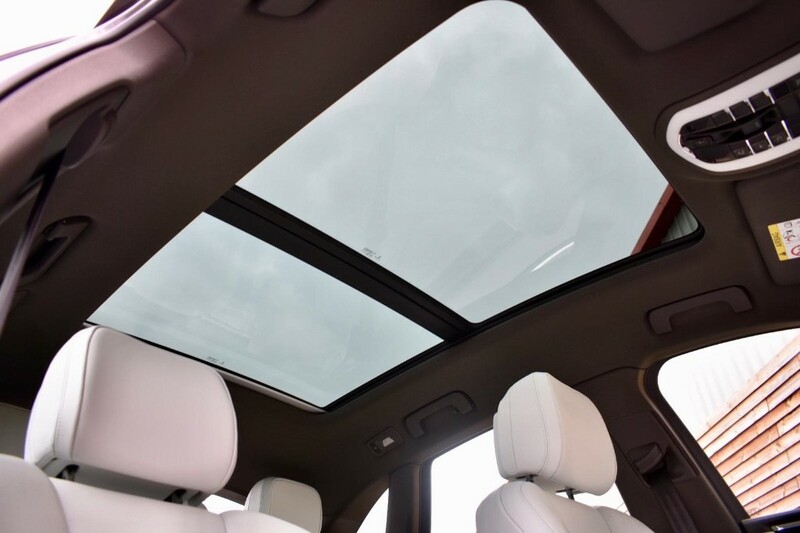 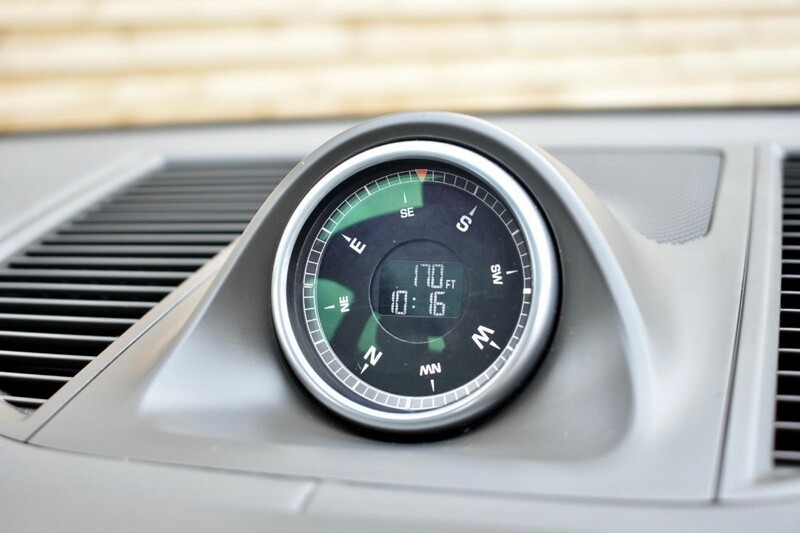 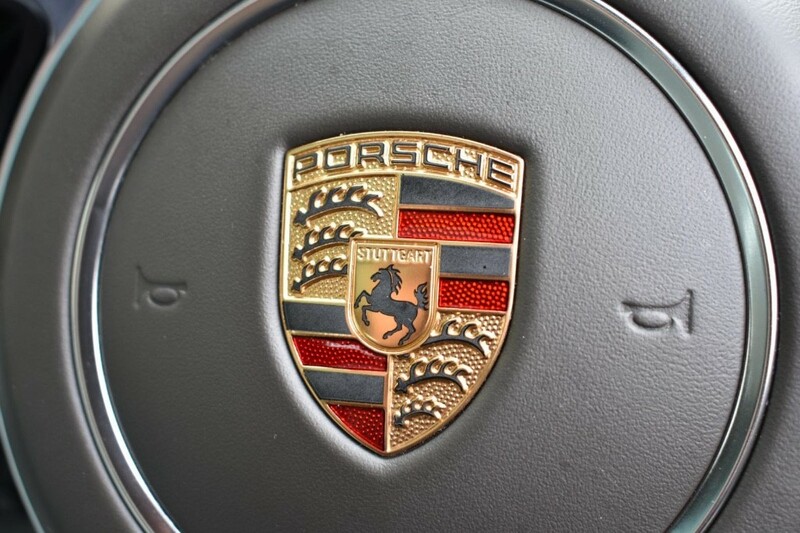 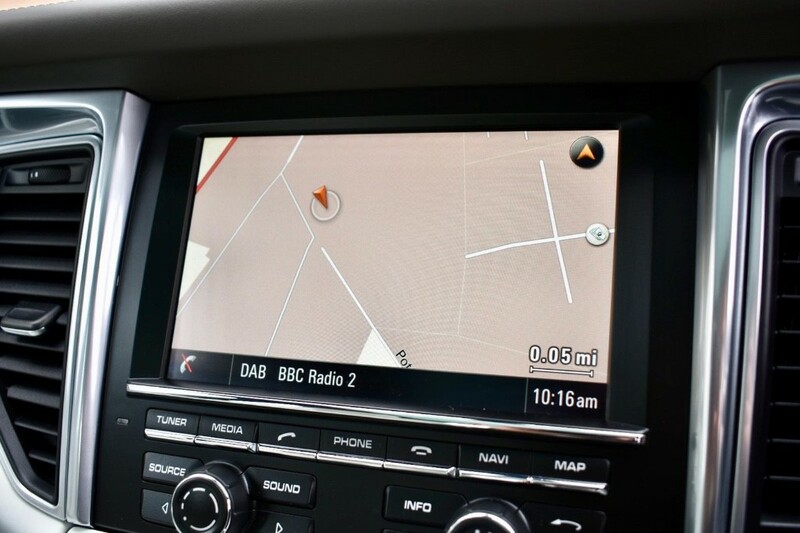 FACTORY FITTED OPTIONS INCLUDING PANORAMIC GLASS ROOF SYSTEM, 20" MACAN SPORT DESIGN ALLOY WHEELS, AUTOMATIC DIMMING REAR VIEW MIRROR, 6 CD CHANGER, 3 ZONE CLIMATE CONTROL, FRONT SEAT VENTILATION, SIDE BLADES IN BODY COLOUR, FRONT AND REAR PARK ASSIST, 75 LITRE FUEL TANK, PORSCHE COMMUNICATION MANAGEMENT INCLUDING SATELLITE NAVIGATION, LIGHT COMFORT PACKAGE, LIGHT COMFORT PACKAGE, BI-XENON LIGHTING SYSTEM, WHEEL CENTRES COLOURED, HEATED SEATS, SPEED LIMIT INDICATOR, MOBILE PHONE PREPARATION, AIR SUSPENSION WITH SELF LEVEL, COMPASS DISPLAY IN INSTRUMENT CLUSTER, STAINLESS STEEL FRONT AND REAR UNDER BUMPER APRONS, SIDE STEPS, UK SUPPLIED, FULL PORSCHE MAIN DEALER SERVICE HISTORY, RECENTLY COMPLETED IT ANNUAL SERVICE, PRISTINE EXAMPLE THROUGHOUT, WITHOUT DOUBT ONE OF IF NOT THE HIGHEST SPECIFICATION DIESEL EXAMPLE AVAILABLE FOR SALE TODAY, FOR FURTHER INFORMATION PLEASE CONTACT TIM ON 07775 502050 OR TOM ON 07867 555125, FULL DEALER FACILITIES.